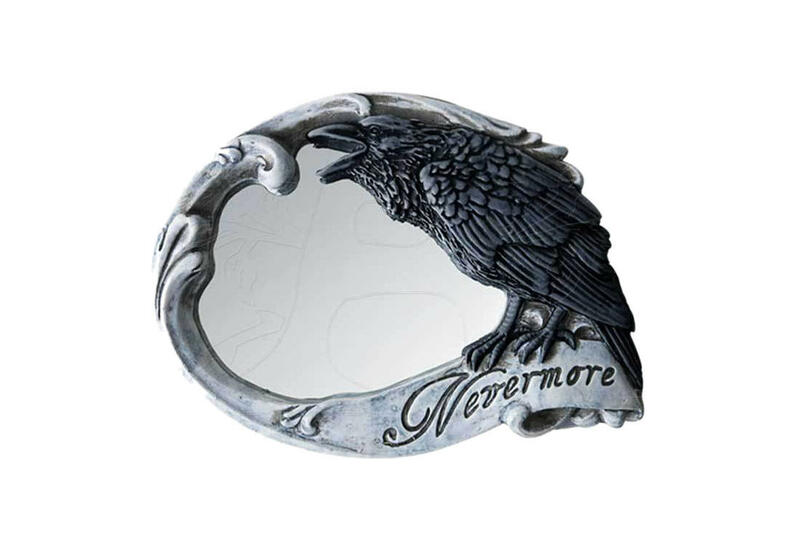 Poe's mocking Raven hand mirror reflects the soul of the user. Reversible skull with rose on one side and Nevermore on the other. Made of resin and glass with English design. 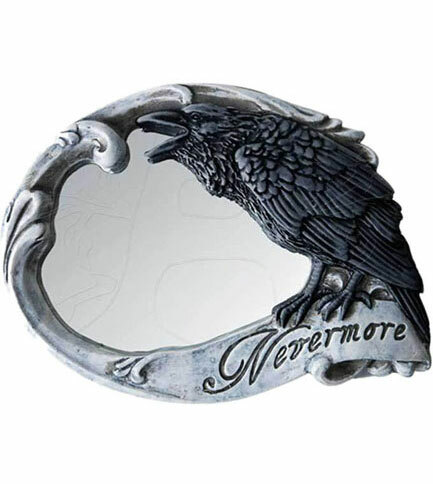 Measures approximately 3.5 inches wide, 2.7 inches high and 0.8 inches deep. By Gothic Alchemy.